"Policing Black Lives: State Violence in Canada from Slavery to the Present" by Robyn Maynard. 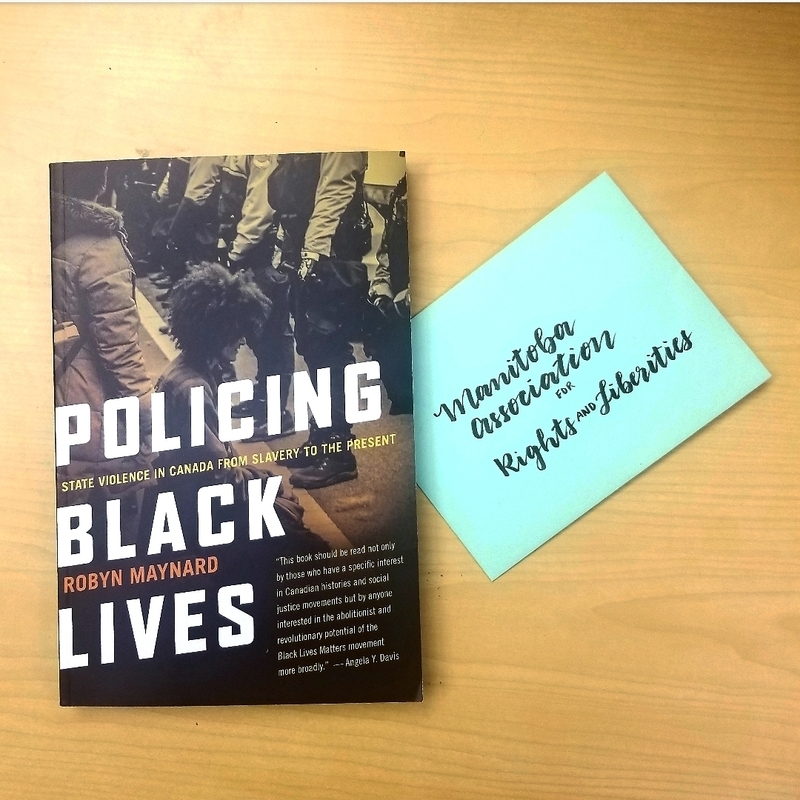 We are excited to announce our inaugural book selection for the #MARLreads human rights book club! Our February book will be in celebration of Black History Month! To create a society where diversity is valued, liberties are respected, and rights are lived, it's crucial to learn about events that challenge Western conceptions of Canadian history and to listen to voices that are frequently marginalized. The first step to creating change is to learn. 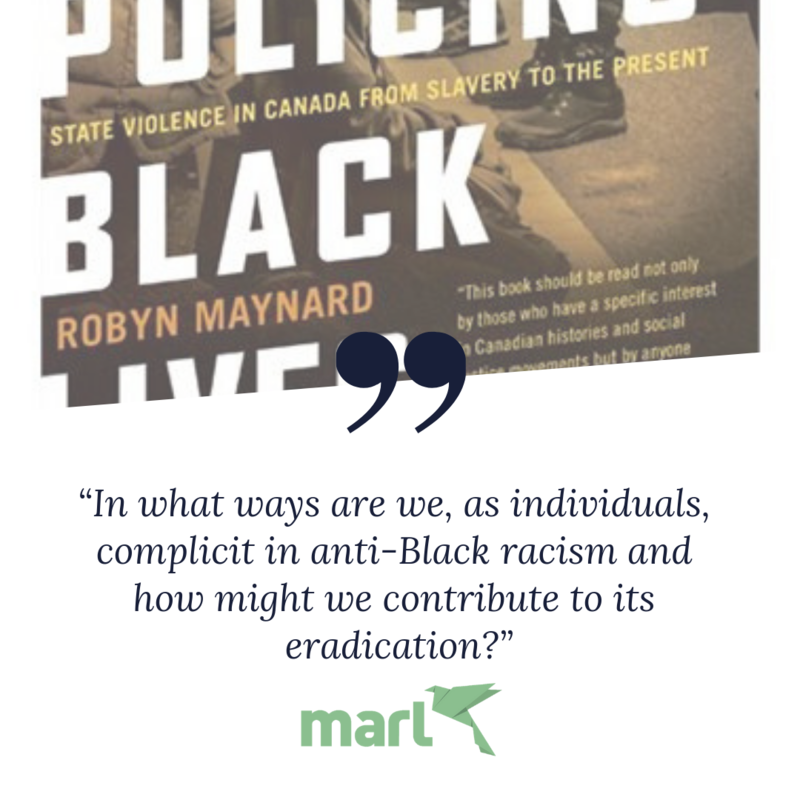 Join us this month as we read "Policing Black Lives: State Violence in Canada from Slavery to the Present" by Robyn Maynard. Check back in with us later in February for discussion questions and info on our first meeting. Check Winnipeg Public Library online to see how to reserve one of their 4 copies! Check your university library to reserve or request through interlibrary loan! Available at McNally Robinson and Chapters/Indigo for $25.00 and $22.86 respectively. Also accessible as an eBook (send us a message for more information on audio/voiceover/text to speech capacities).